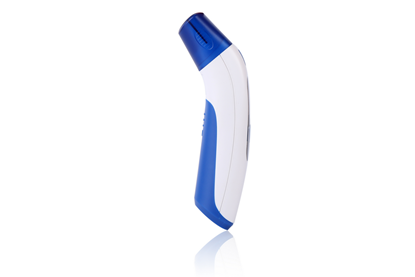 Non-contact infrared forehead thermometer that produces accurate readings in 2 seconds! This digital thermometer has a fever colour indication display! It will display red for a fever or green for a healthy temperature. You can measure temperature in °C/°F depending upon your preference. 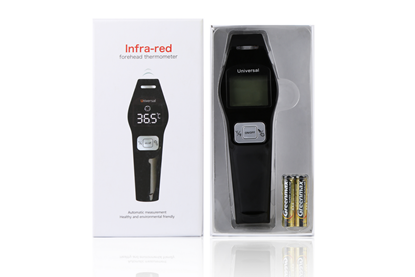 Moreover, you can measure temperature accurately at a 5cm non-contact distance due to the innovative infrared technology! 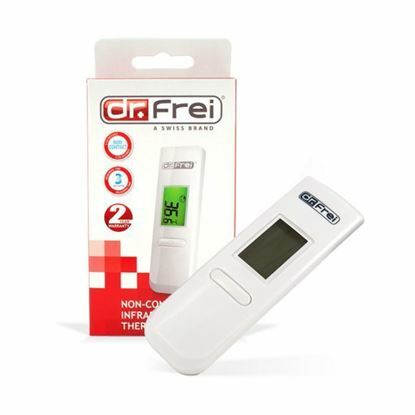 The Dr FreiMI-100 boasts an excellent level of storage, ensuring you can store 20 previous readings. This allows you to track temperature and progress if the patient has a fever.